Moving tools and equipment up and down the casing is important for locating and repairing problems in the well, as well as monitoring conditions downhole. When tools need to be dropped into the well, or the tubing or other equipment pulled out of it, it will be done using a wire line. Wire lines might be used to pull tubing or rods, cut paraffin, swab fluids, conduct surveys, and a number of other things. Wire line is available in a few different types, each with their own advantages and disadvantages. They might be laid up wire, solid wire, or wire that can conduct an electrical current into the well. As mentioned above, wire lines may be of a few different types. The style most often encountered is wire rope, which consists of smaller, solid strands of wire that are woven together, more technically referred to as laid up. This is similar to twine or fiber rope. Wire rope might have a central core around which the individual, smaller stands are braided. Figure 2 shows the different parts of the rope. The rope can be laid up in different ways, usually left or right hand lay. This has some implications for how the wire line should be handled and possibly some other considerations. 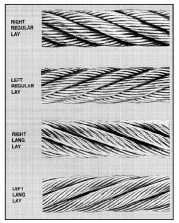 In Figure 3, you can see several different styles of laid up wire rope. Right hand lay is much more common. 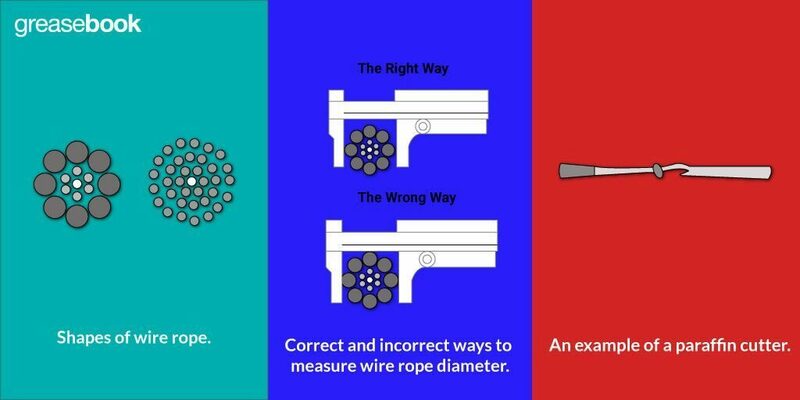 It’s important to measure rope using the correct method, so that you can identify the correct tool and equipment size to use with that wire. Always measure the rope across it’s widest dimension, as it’s the total diameter of the rope that’s important. While wire rope is fairly sturdy stuff, it can be damaged if handled or used incorrectly. Damage is essentially permanent and will have a long term impact on the rope’s strength and use. 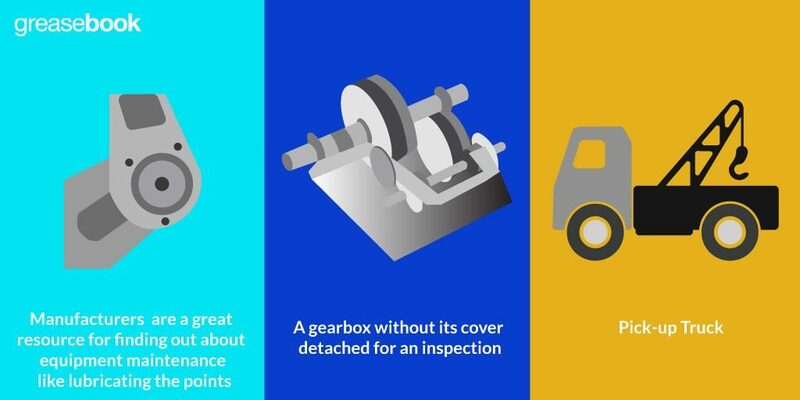 Wire rope, wherever it is used, should be protected and inspected before each use. 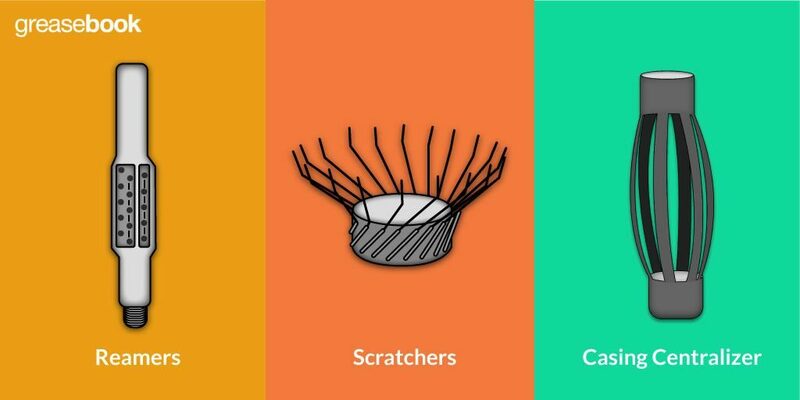 Wire can be used for a few different purposes. Some uses will require a specific type of wire line, while some types of line are multi-purpose. These lines will run from a reel drum on a servicing unit or derrick to the blocks. The blocks are the pulleys used with that equipment to provide mechanical advantage. The wire rope used with a servicing unit, is different from that used with a drilling rig in a few important respects. Wire line used with a servicing unit will be resistant to rotation so that elevators don’t turn on their way up through the derrick. This is a particular consideration when only using a single line. This line is also designed to be used on the surface only, and don’t have the same protection against corrosion and other downhole problems. This line will need to be at least 500 feet long, though it will usually need to be quite a bit longer. The wire is run back and forth between the blocks many times, and it’s important that there is enough wire to lower the traveling block all the way to the floor. There should be some reserve on the drum when that’s done. Also, a length of the worn line should be cut off according to the ton mile schedule. There should be enough reserve line that the blocks can be re-threaded, which will extend the useful life of the line. While wire lines may be used in various places around the lease, the lines that are run down into the well are going to get most of your attention. The sand line is a wire line with a high tensile strength and which is used to run tools and equipment down into the well. The line is placed on the second drum of the pulling or servicing unit, or on the drum closer to the cab. This line should be long enough to reach the bottom of the hole. Sand lines are basically utility lines that can be used for a wide range of purposes, depending on the tool or piece of equipment that is being run on it. For example, by using the sand line with a swab, fluid can be lifted out of the hole. This might be done for a variety of reasons, but it is usually done to clean up the wellbore and matrix area. It may also be done to remove pressure from the tubing so that fluid can flow into the lines and tanks. The sand line can also be used for bailing sand. Sand may migrate to the bottom of the hole during pumping operations, carried by the flow of fluid through the formation. When the tubing is pulled for service, this sand can be bailed out. The sand line can also be used to cut paraffin and remove scale. In Figure 6, you can see an example of a paraffin cutting tool. Figure 6. An example of a paraffin cutter. When a rod parts, it needs to be fished out of the hole so it can be replaced. Unfortunately, because the rod parted it may be difficult to fish it using standard equipment. When a loose rod string is troublesome to fish, an impression block or tool can be sent down into the hole. This is a flat bottom tool made of soft lead. When run down onto the parted rod, the end of the rod will leave an impression in the block. A custom tool designed to hook that rod can then be made. The sand line may also be used to pull a standing valve out of the tubing. Standing valves may be dropped into the tubing for a few reasons, primarily to check for leaks. The valve is dropped into the string. Once the valve is in place, the tubing string is filled with water and then pulled. The water will drain from the leak, so that the level of water in the tubing will show where the leak is. When this point is reached, the standing valve can be retrieved without having to pull the entire rest of the string. Temperature surveys. These are used to detect leaks in the tubing string. Gas will often escape through leaks and expand, causing a detectable drop in temperature. These surveys are usually run a regular basis, as frequently as every 6 months or as infrequently as once a year. Pressure surveys. These are also run on a regular schedule, usually once a year. These surveys measure the pressure at the bottom of the hole. By comparing these readings to previous years’ measurements, the drop in reservoir pressure can be determined. 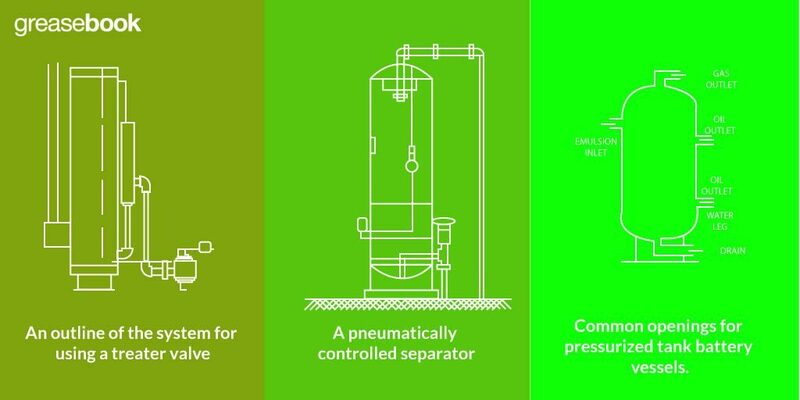 This is useful information that can help to determine things like the amount of fluid remaining in the reservoir and gauging the effectiveness of pressure maintenance operations. It’s also possible to predict when a naturally flowing well will need to add artificial lift. Directional surveys. 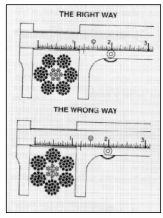 When drilling a well, a direction survey may be run on a solid wire line. A clock is set within the survey bomb before it’s lowered into the hole. When the timer runs out, the bomb takes a 180 degree impression. Other uses. Solid wire can be used to place valves, scrape paraffin and scale, and a few other specialized uses. Electric lines are used for many tasks that require powered tools or equipment be lowered into the well. A well that is being drilled will need open hole survey logs to determine whether the well is worth completing. Cased hole logs may be required once casing has been run into the well, and will be followed by the cement bond log after the casing has been cemented. Electrical lines will also be used to create perforations, for measuring depth and other surveys, and for a variety of other reasons. Guy lines are essentially structural supports. Unlike most of the other wire line described here, guy lines do not run down into the well. They are instead wire lines that run from a tall structure, like a derrick or servicing unit, to the ground to provide stability. Guy lines are most often the standard right hand lay. Wire used for this purpose will usually have a smaller diameter than wire on the drum. 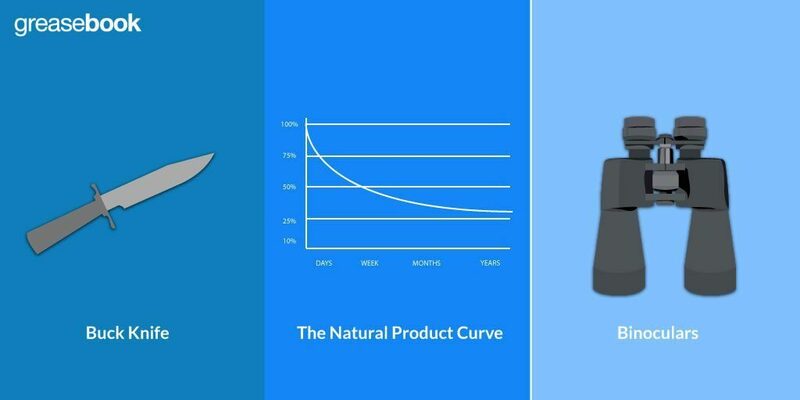 You should be sure that the correct size line with the correct strength is used, as it’s possible that guy lines may be put under a fair strain.